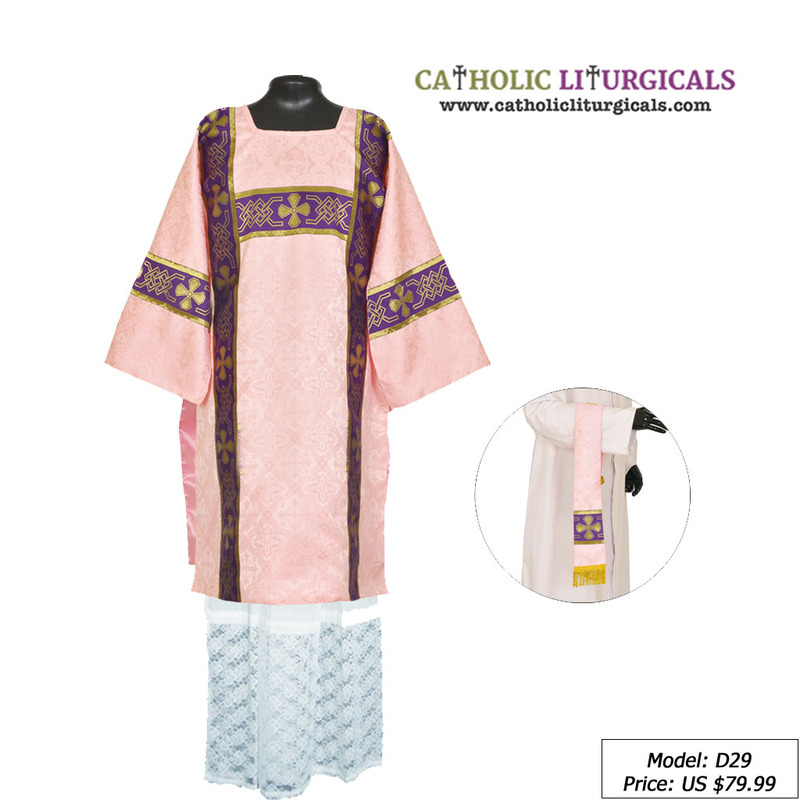 The vestment is made of Brocade Fabric with Cross Designs. The St. Andrews orphreys (also called the "M" Orphreys) are made of high quality polyester braids. The Vestment comes with a matching stole, maniple, chalice veil & burse. The Mass set comes with orphreys to match the chasuble and the Stole has a golden cross embroidered on the back of the neck.